I have been listening to chinese songs again lately. So I often go to 988 to listen to the streaming radio but the website stuffed up very often. 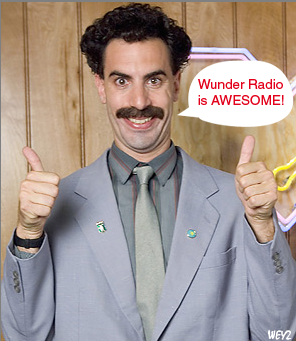 I give up on listening to online radio til I found WunderRadio. Wunder Radio is an application for iphone users to listen to the radio all around the world. They plays thousands of streaming internet radios stations and other audio streams. It was the best application that I got for my iphone. I play it at work, I play it while I'm driving to work, I play it whenever I feel like listening to any type of songs I want. I can choose Hong Kong radio station..
and even Kazakhstan radio station!